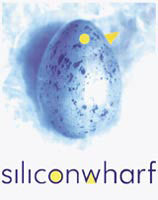 Springpoint has created a brand identity and positioning for CGU’s Internet incubator business, Siliconwharf. The company provides infrastructure and support for e-business ventures. Springpoint has created a brand identity and positioning for CGU’s Internet incubator business, Siliconwharf. The company provides infrastructure and support for e-business ventures. Its identity, created by Springpoint’s recently launched digital arm, Springpoint New Media, takes inspiration from the essence of Siliconwharf’s business incubation, acceleration and implementation ideas, according to Springpoint creative director Mark Pearce. “By superimposing the idea of a hatched egg over [an] actual egg we represent visually in a single image the whole concept of accelerated evolution,” he says. During the course of the project an underlying theme was developed for Siliconwharf’s website. This is based on the behaviour and natural habitat of the oystercatcher.